Due to legal requirements, certain sections of this website can only be made accessible to healthcare professionals. We invite animal healthcare professionals to register an account to obtain access to all restricted content on this website. Control of poultry red mites is critical, as even relatively small mite populations can have significant impact on bird welfare and operation productivity. Poultry red mites are a costly problem for global poultry production. 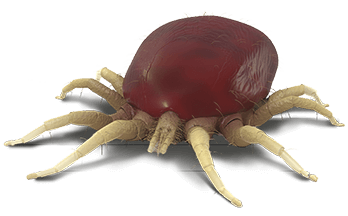 The development of more useful, effective, and innovative treatments to control red mite infestations and improve bird welfare has been an unmet medical need recognized by the scientific community, key opinion leader groups and the layer industry. Learn more about the problem by browsing through this website and at RedMiteExpert.com. Play the following video’s to learn how producers have been successful treating Poultry Red Mites with Exzolt. Copyright ©2019 Intervet International B.V., also known as MSD Animal Health. All rights reserved.